Dry Mix: Place dry formula in a separate feed dish and replace with fresh formula every day. The Whistler Egg & Biscuit dry formula can also be sprinkled over /or blended with finely chopped fruit and vegetables. Additional selected fruits and vegetables should also be given to your birds as a healthy treat. Please ensure cool, fresh water is available at all times. DO NOT reuse or chill mixed formula to be used at a later date, always mix a fresh batch per feed. 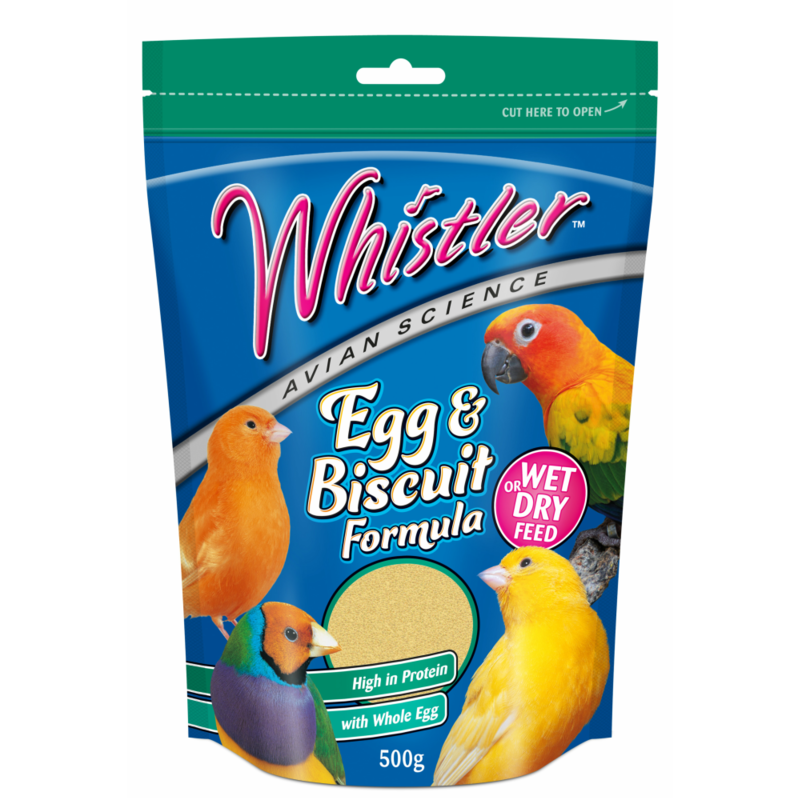 Whistler Egg & Biscuit Formula is a balanced diet suitable for all pet and aviary birds, including canaries, finches, budgies and all medium and large native or exotic parrots. Made with a nutritious blend of cereals, biscuit crumb, whole egg and natural vanilla extract. Whistler Egg & Biscuit formula is a healthy nutritious complete food/ or supplement that your birds will love!